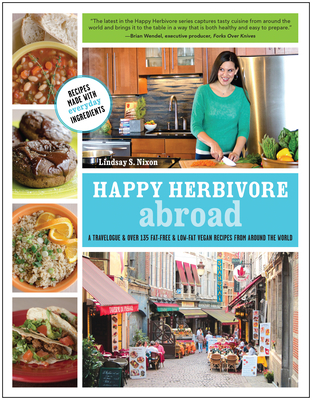 Lindsay S. Nixon is the bestselling author of the Happy Herbivore cookbook series: The Happy Herbivore Cookbook, Everyday Happy Herbivore and Happy Herbivore Abroad. As of September 2012, Nixon has sold more than 100,000 cookbooks. Nixon has been featured on The Food Network and Dr. Oz, and she has spoken at Google. Her recipes have also been featured in The New York Times, Vegetarian Times magazine, Shape Magazine, Bust, Women's Health, WebMD, and countless other online publications. A rising star in the culinary world, Nixon is praised for her ability to use everyday ingredients to create healthy, low-fat recipes that taste just as delicious as they are nutritious. Learn more about Nixon and try some of her recipes on her award-winning blog happyherbivore.com.